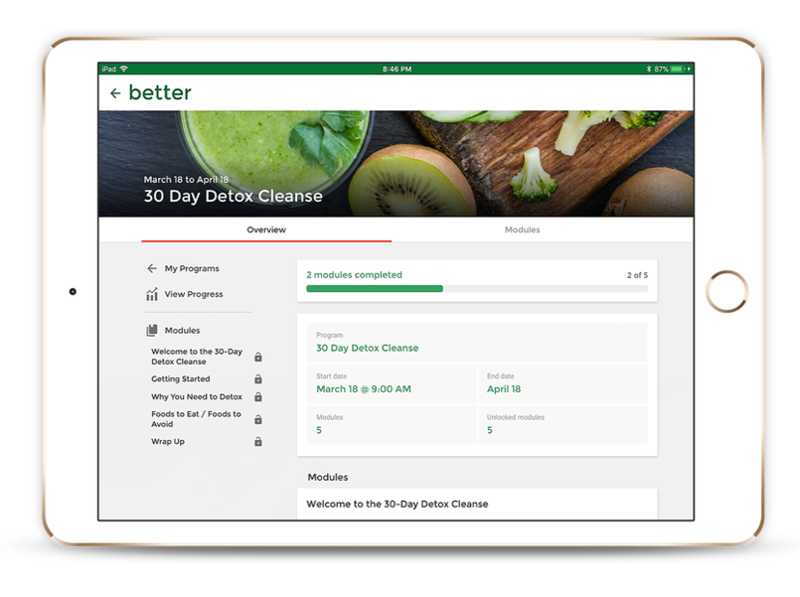 Practice Better is the complete nutrition practice management software for health and wellness professionals like you. and see how Practice Better can help grow your practice. Starting or growing a practice can be overwhelming at times. So, we built a better solution for managing professional recommendations, bookings & payments, and tracking your clients’ progress. Creating and sharing your professional recommendations has never been easier. 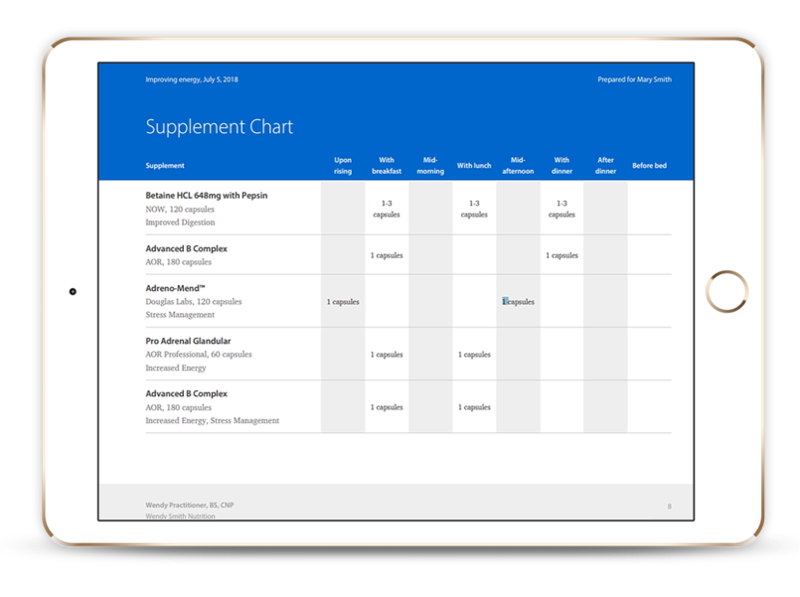 Share your dietary, supplement and lifestyle recommendations with your clients and save them as templates for later use. Give your clients the right tools to reach their health goals. 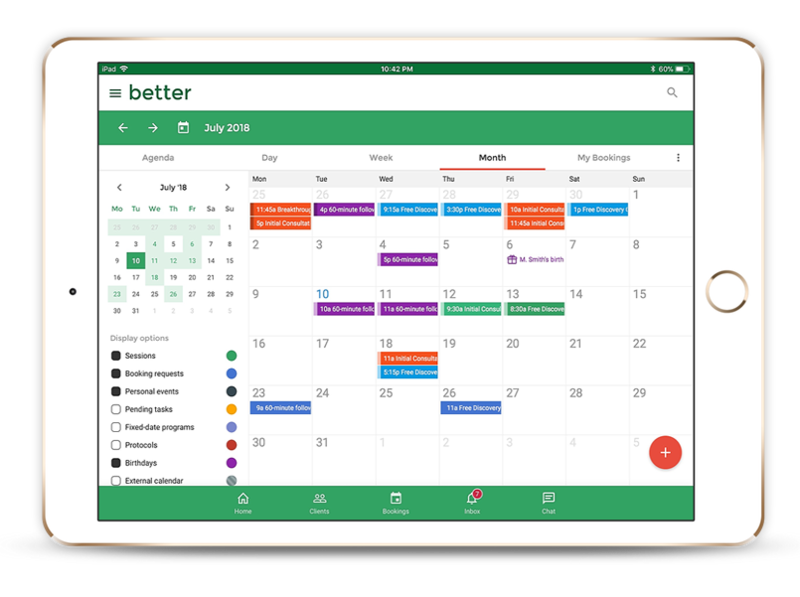 Easily track client progress on any device. Review their daily food, mood and lifestyle entries from your desktop, tablet or smartphone. Let clients book sessions from your website, Bookings Page or directly from the Client Portal. 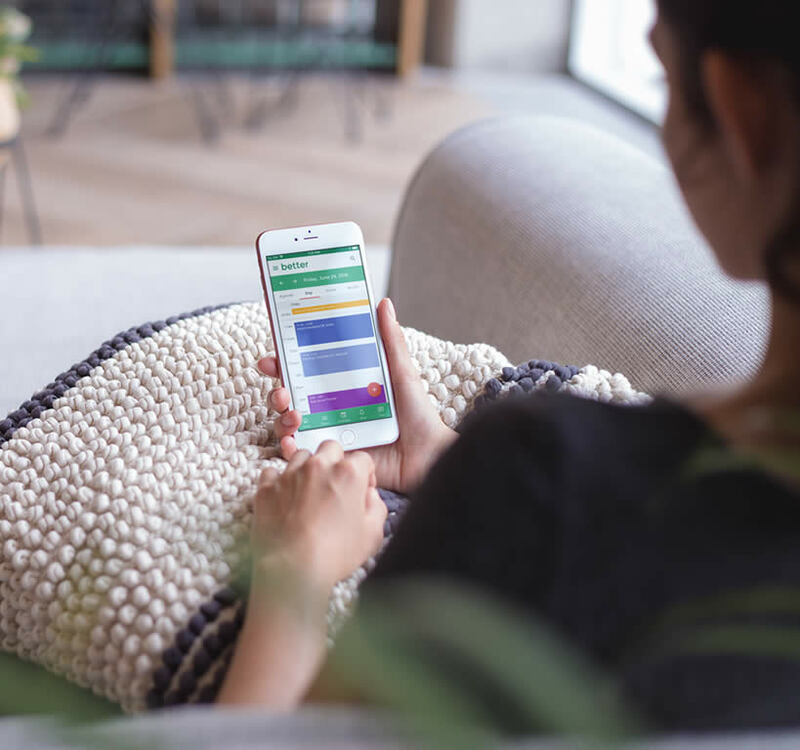 It doesn't end there—you can also create invoices, process payments and set up recurring payments for your packages and services. You’re not alone. Most health and wellness professionals use multiple applications just to save themselves a little time. Health Records Management Software, Meal Planning Software, Appointment Scheduling Software and Invoicing Software—just to name a few. The problem is these systems are often disjointed, time consuming and prone to human error. Practice Better replaces these programs and allows you to work from one secure, cloud-based location. It’s a comprehensive solution to help you manage your practice and the entire client journey with ease, saving you both time and money!